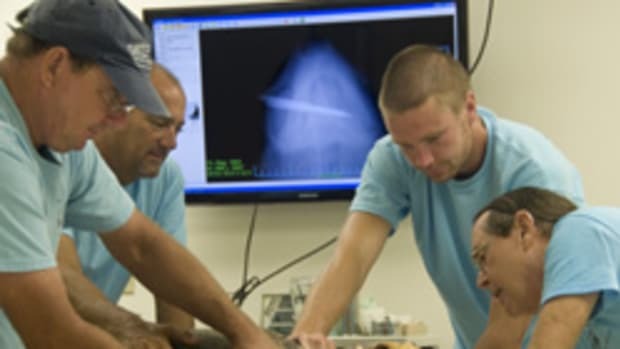 A marine conservation center in Florida has repaired an injured sea turtle&apos;s shell with materials used in human orthodontia and released it back into the ocean Wednesday. Beachgoers in Juno Beach, Florida, discovered a green sea turtle on Father&apos;s Day of 2010. "Andre" was floating close to shore with two gaping injuries from boat propellers in his shell. One wound exposed his spinal cord while the other had filled with three pounds of sand and was badly infected.